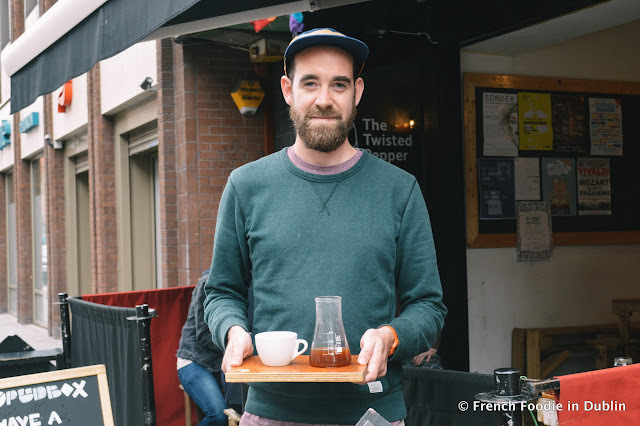 French Foodie in Dublin Meets: Tom Stafford, Vice Coffee Inc. Introducing 'French Foodie in Dublin Meets', a series of interviews where I speak with some of my food and drink heroes and those at the forefront of Dublin's foodie revolution. For the first in this series of interviews I met with Tom Stafford, main man behind ViceCoffee Inc, a speciality coffee shop on 54 Middle Abbey Street. How did you get started in the coffee industry? My background was in advertising. I studied media, worked in the industry for a few years and then I’ve always kind of done hospitality from secondary school right up to college. Then I travelled quite extensively after college for a year and then back to Dublin. I left just before the recession hit and eventually travelled in South America, New Zealand and I ended up living for two and a half years in Melbourne where the speciality coffee scene is huge. I managed a café while I was there and I got really big into the speciality coffee side of things. Then I moved back in 2011; I stalked Colin Harmon in 3fe until he gave me a job and then I work for the guys in 3fe for a year and half. Then they decided to concentrate on opening their roastery so they pulled out of Twisted Pepper and the opportunity came up to take over here and so yeah I’ve been in Vice Coffee Inc two years in January which is pretty cool and I haven’t looked back. When did you start loving coffee? I suppose I was a little bit into it before I left Dublin, then as soon as I got to New Zealand it was just a different approach to coffee. It was all about quality not quantity. Once I got to Melbourne, the whole scene there is so different, they have high end restaurants but a lot of it is more approachable and they have this amazing brunch scene. You go out and you can have brunch any day of the week from like 7am to 4pm and then all these cafes will turn around and have an evening spread as well and do amazing wines and craft beer and have music. That’s when I was like ‘wow this is different!’, it was all affordable as well, you could and we did go out for dinner and lunch nearly 5 times a week. Everyone was fun there was none of that pretentiousness that kind of came with food. That’s how I fell in love with it all. What do you think of Dublin’s current coffee scene? It’s really impressive for such a small city to have so many coffees shops that do a really great job. Some people kind of give out but there is an amazing coffee scene if you compare it to the likes of London and we have a great selection of really talented baristas. We’ve gone on to compete in all the different competitions and while we haven’t won the world title in a few years we’re always right up there amongst the best. We always have international baristas and coffee fanatics coming to Dublin and they always rave about how great our scene is. In the next year we’ve got the countdown to the world barista championships happening here in the RDS next June, so it will just going up and up till then. I think Dublin’s scene is pretty amazing for such a small city. What do you think is the next trend in Dublin’s coffee scene? In the last couple of years there’s been a really big emphasis on filter coffees but the next thing is to focus more on the cold drinks side of things. 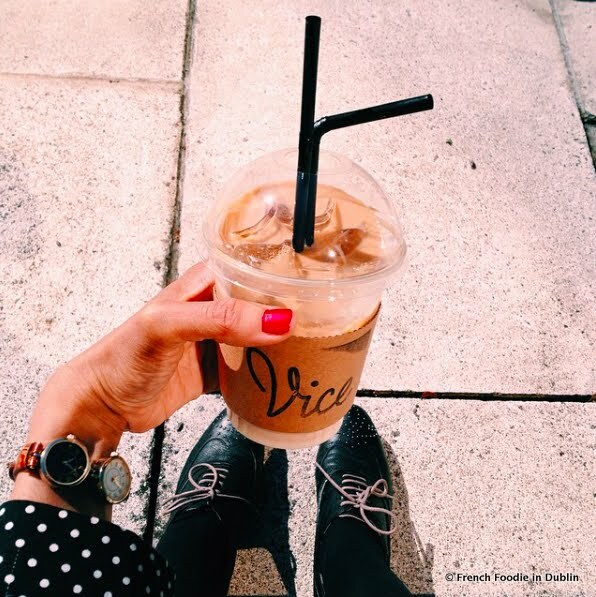 When the sun shines in Dublin everyone wants to have iced coffees, we were probably one of the first ones to do the Vietnamese iced coffees 3 summers ago, now you can get them everywhere. There is a bakery on Georges street called Krust that do a nitro cold brew, I haven’t tried it but it looks like a pint of Guinness when it’s brewed. We’ll be launching our new coffee cocktail menu in September-October for the winter season. We won the best Irish coffee at the whiskey festival in February this year and we’re gonna be expanding our menu including lots of different types of coffee cocktails so watch this space! The best coffee experience you’ve ever had? Finally, what’s your advice for making a good cup of coffee at home? Good water, you can make coffee really easily at home and it doesn’t cost. You don’t have to buy an expensive espresso machine or grinder. Essential kit like either an aeropress or French press, good quality coffee beans, a grinder (freshly ground coffee is always better than pre-ground). Use good water and if your water isn’t great at home and tastes chlorinated you can buy filtered watered from the supermarkets. Just follow a routine, having something like a timer and a scale. Measuring everything is very important you kind of have to follow a recipe it’s a bit like baking. If you follow a recipe your coffee should be amazing!